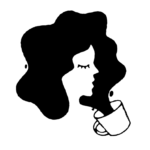 When we think of the flower crown, we usually think of an Instagram-filtered 1960s summer wedding, replete with long honey-colored locks adorned in baby’s breath (hi, mom). But crowns aren’t really a thing of the past at all. They’re everywhere nowadays, whether they’re sold at Claire’s for $10 or customized on Etsy for several hundred. 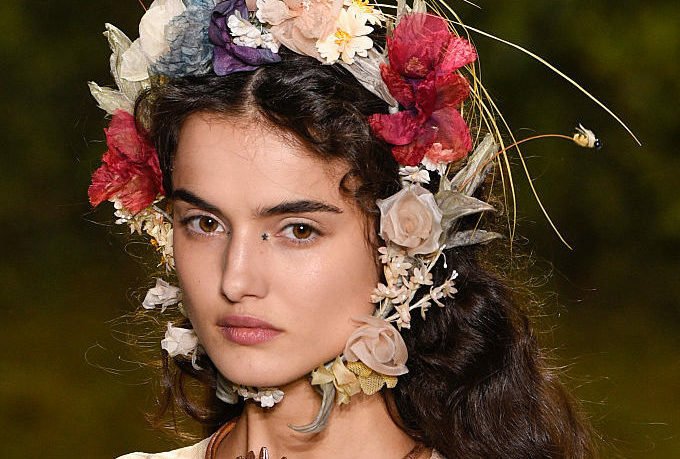 And now Dior is debuting its couture flower crowns — because our favorite accessory deserves to be less Coachella and more bourgeoisie. The reality is that the flower crown has been around for ages — likely making its first appearance (as we know it) in the form of Greek laurels. The Ancient Chinese wore them. Victorians adored them. And Ukranian women wear flower crowns to symbolize peace, especially after the country’s revolution. It’s a uniquely enduring fashion trend that can be customized per person or culture, which can’t be said for many other accessories. 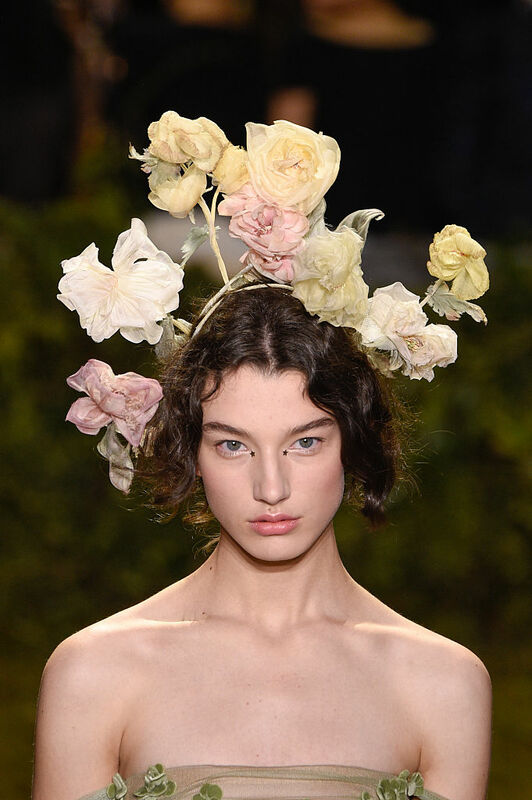 And because Dior is Dior, their flower crowns are the epitome of utter resplendence. Their designers took the crowns in every direction — from petaled and whimsical long-stemmed pale yellow roses to evocative and dark sprays of black peacock feathers. We certainly hope Dior sends Lana Del Rey one as a gift since she’s the poster child for the flower crown (and one of the reasons the trend resurfaced). 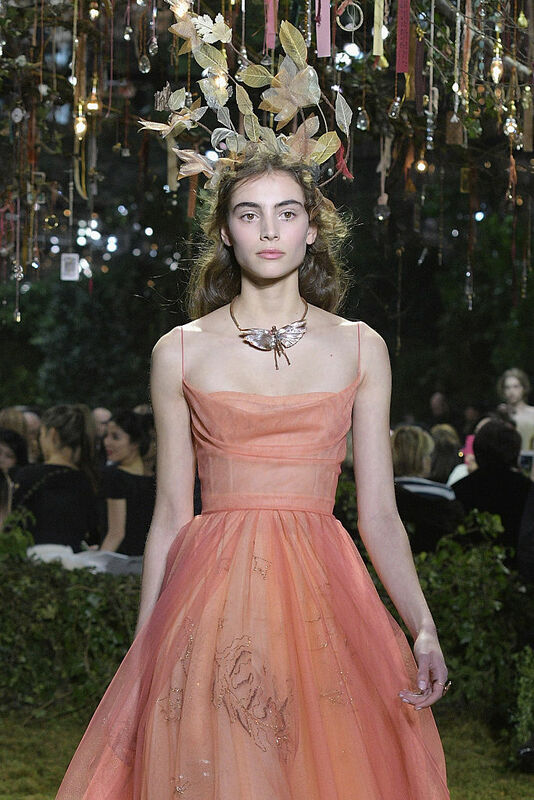 Whether it’s “try too hard” or dreamy, you have to give it to Dior for upping the ante. But not as much as these mermaid crowns — mermaids always win.